Camping may seem simple at first glance but it can be quite intimidating after you take a look at what people do when they go on a long camping trip. You should not really be intimidated. The truth is that camping is quite simple and really cheap when you start out. 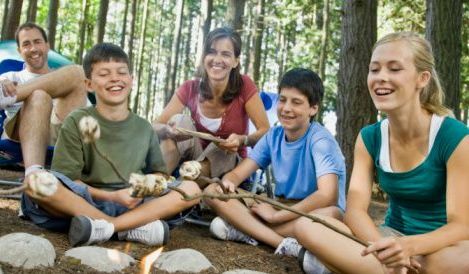 Our beginner camping guide will surely help you since it covers all the first steps that you need to take. Make sure that you read everything and adapt based on where you will go camping. That is a lot more important than you may think since there are differences between the camping locations you can consider, especially when leaving the country. Why Would You Go Camping? In many cases people go to relax and indulge in nature. In other situations, some look for adventure or a survival experience. Remember that whenever you go camping, you have to be sure that you will take into account what the other people want to experience during the trip and their experience level. If you go with many beginners, the equipment that you need is different as opposed to when you go with some that have a lot of experience. Remember that when going with friends, it may be a little difficult due to the fact that many are afraid that they will be uncomfortable, spend a lot of money or end up bored. 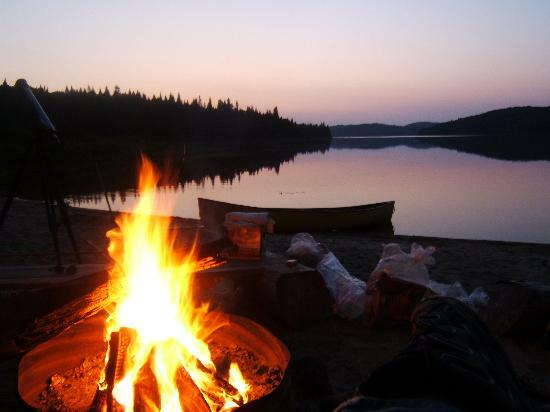 Going camping is quite similar to a dinner party or a barbecue but you go to a location that is really beautiful. You will love the time that you spend as a group, especially if you turn off your mobile phones. Upfront costs do exist when going camping. There are some basic things that are necessary. It is possible to go really cheap and buy low quality equipment at stores like WalMart. They are usually enough for a trip in the event that the weather is good. If there is extra cash available, you can go for items that are of a higher quality and that would last for many trips while keeping you comfortable even during weather conditions that are not optimal. There are some parameters that should be respected when referring to the quality of the gear that you will buy. In many cases you will want to be able to carry the equipment so comfort is really important. Gear specialization is almost always important due to the fact that when referring to a longer trip, quality has to be really higher. Keep in mind that you do have to shop around. This is even true when referring to online shopping. 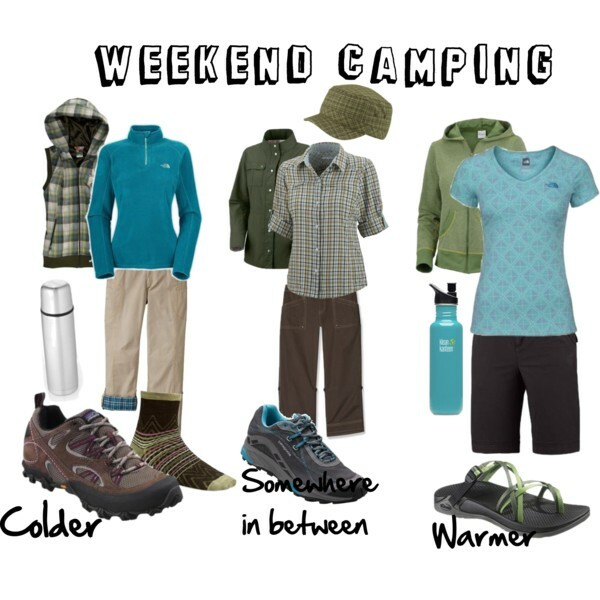 Just like clothes, buying camping gear may also be influenced by fashion. 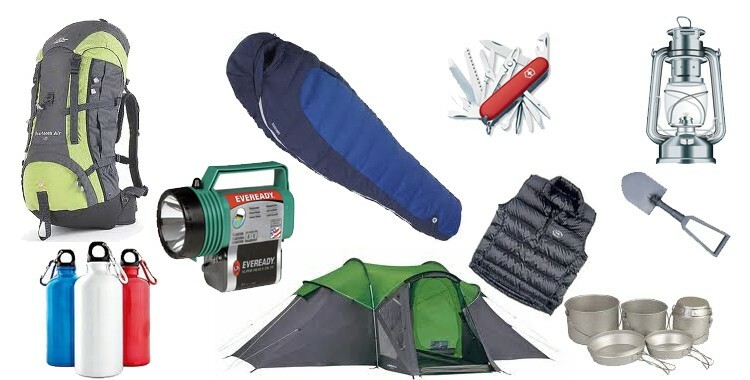 Keep in mind that there is a lot of great camping gear that is available in the colors of last years with really high discounts. Based on where you will go, you have to be sure that the sleeping bag can offer the warmth that you need during the night. Weather differences can be really high from one location to the next. That is especially true when referring to the colder climates. The temperature ratings that are added to the sleeping bag will be a little deceptive. There is a minimum viable temperature rating. Always make sure that you add around 10 degrees to that so that you can be sure that the bag will be comfortable based on where you will camp. Use the internet to see minimum temperatures in the area where you will go to. You can use down bags that do pack a lot of warmth in a lighter and smaller package but you would end up paying more and in the event that they end up wet, they will not be able to insulate properly. The fillers that are manmade will be heavier but are almost always more affordable. They can keep you comfortable even during storms. One of the most important factors to consider when you choose the tent is the capacity that is offered. In the event that you just need a small tent for two people and you will pack light, a two tent person is more than enough. However, you will not have much available space and the two people inside will be quite close to each other. In order to add more comfort, you will need to add a person to tent size. So, if you want to be really comfortable, you will need to choose a tent for 3 people as two will go camping. 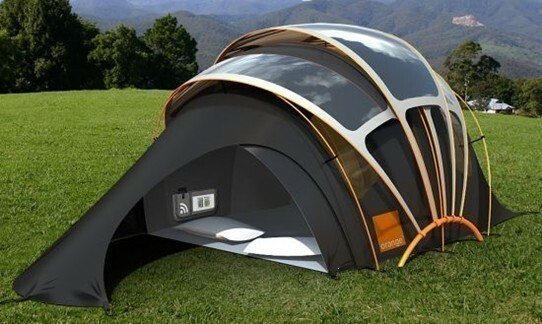 There are also one-man tents that are suitable for going camping alone or when you want your own privacy. Remember that in many cases you will have to buy a dome style tent that has flexible poles, instead of the A-Frame that is sometimes bought by beginners. You can use footprints in order to protect tent floor from being cut or torn by the stuff that appears on the ground. At the same time, the interior of the tent will be kept dry. Instead of buying a really fancy tent from a manufacturer that is really expensive, you could simply cut your very own footprint from a plastic sheet that is really thick. It is enough for many trips and after that, you can dispose of it with ease. This is an absolute essential. You should never go camping without it. Many survivalists will tell you that the pad is not necessary but the truth is that you do want to have comfort when you go camping, especially as a beginner. You do need something soft that you can sleep on. 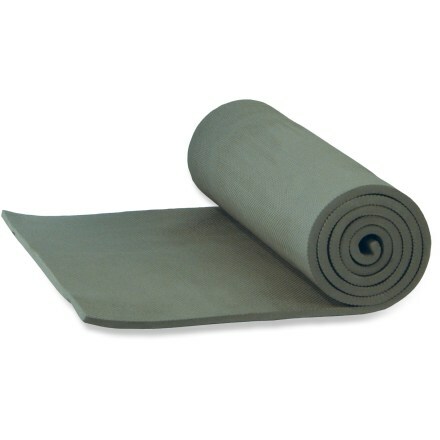 The sleeping pad will offer comfort and will also help a lot in keeping the body warm as there is insulation offered. A quality inflatable is really great and you would only end up spending around $50 for it, lasting for a really long time. Most beginners are not comfortable with how dark it can be during the night. 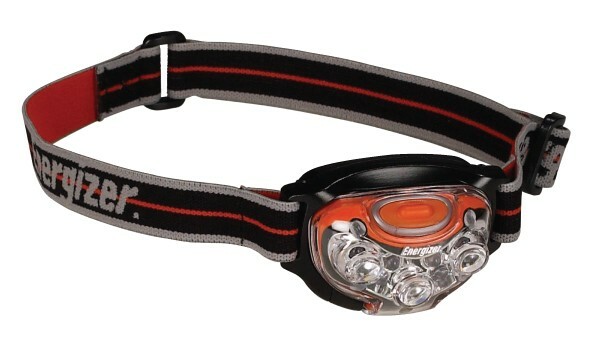 If you will walk, cook or do practically anything during the night, a LED headlight is needed and you do not actually need something that is fancy. A lantern can be bought in the event that you want to eat dinner during the night or you simply want to illuminate the entire campsite. LED ones are really cheap and can be used with ease. 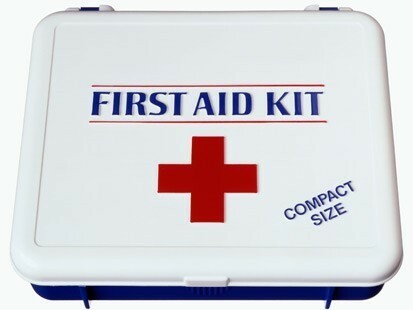 Make sure that you pack a first aid kit with you because of the fact that you never know what can happen. It is quite common to end up with blisters, scrapes and cuts. The first aid kit can be made by you at home based on where you will travel and the potential dangers that appear there. In the event that you will be faced with a really high temperature where you travel, sunscreen is necessary. It is actually needed wherever you go since you never actually realize how strong the sun is without sunscreen. If a lot of bugs are present where you travel, make sure that you will take bug spray. In many cases you do not actually know much about what bugs are present in an area so the spray may be needed no matter what. There are so many camping areas that exist all around the world. It is not at all hard to find something great. However, in the event that you are faced with a lack of information or you simply want something easier at first, consider going to a National Park. In many cases campsite has to be booked ahead of the time. 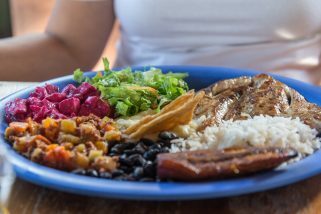 The website of the park will normally highlight the various different options that are available for you. You can also use Yelp to learn more about the conditions offered. 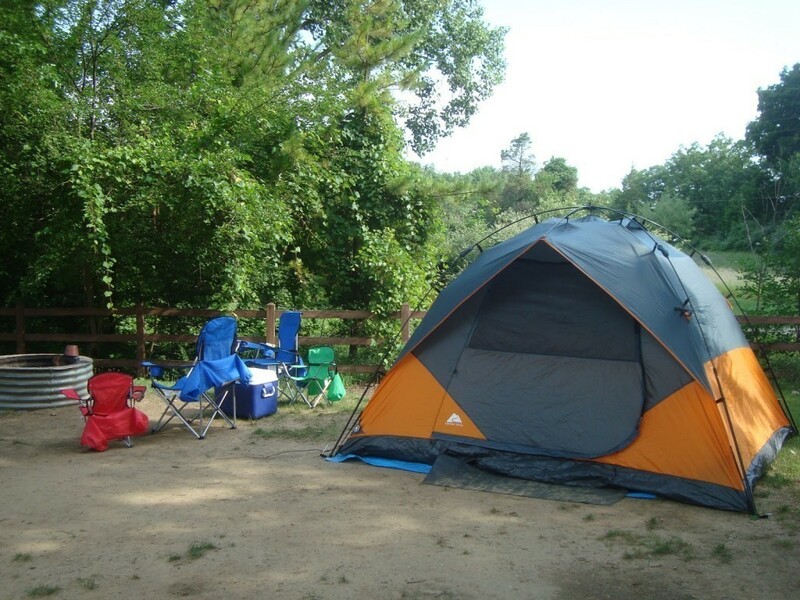 The organized campsites are basically the best option that is available for the beginner camping enthusiast. A clean water source is always available and there is even firewood available when you need it, together with other extras. You just have to take camping equipment with you and you will have a great time. Make sure that you do research the options that are available in the area where you go ahead of departure date and prepare various activities you can enjoy. There are nature tours, picnics, sports, fishing, beaches and day hikes that can be experienced, together with many other options. We understand that some simply want to read a book or relax but in many cases individuals want to also go after other alternatives. In the event that you will go on a day hike, make sure that you pack what you need, enough water and a trail map, together with comfortable clothes and shoes. There are permits that are usually needed for some activities, like fishing or parking passes, so think about that in advance. It is really important to know what you will wear. Remember that a lot of time is spent outdoors and this means you are completely exposed to weather. People are used to walking during a night that is cold but that is completely different than sleeping during the same temperature during the night. You need to pack warmer clothes than what you think you will actually need. It is a good idea to have windproof jackets, sweaters, shirts, longjohns and wool hats with you. This is the case even during summer. Weather reports can help out a lot. Read them and do prepare. It is a really good idea to get boots but they are not always necessary. Footwear has to be comfortable and high quality. Extra socks are needed in the event that you get pairs wet and you can take some old clothes with you since they will most likely get dirty. This is especially important in the event that you want to go camping for a longer period of time. Food that is really easy to cook over a propane stove or a fire is a really good idea, together with a kettle so that you can boil some water and a frying pan. Steaks, bean cans and sausages are always great for dinner. Your lunch should be cold and simple, like sandwiches. You can pack them ahead of time. Eggs and bacon stand out as the greatest breakfast option and you will want to also consider instant oatmeal. Remember that before you go to bed, you have to be sure that everything related to food is packed away and tidied up. That is particularly true when going to a campsite with wild animals like bears. Even so, there are many critters that can come and steal food. Always keep food outside your tent but in a secure location. Even if you do check forecasts and it says it won’t rain, it can always rain. You should be prepared. 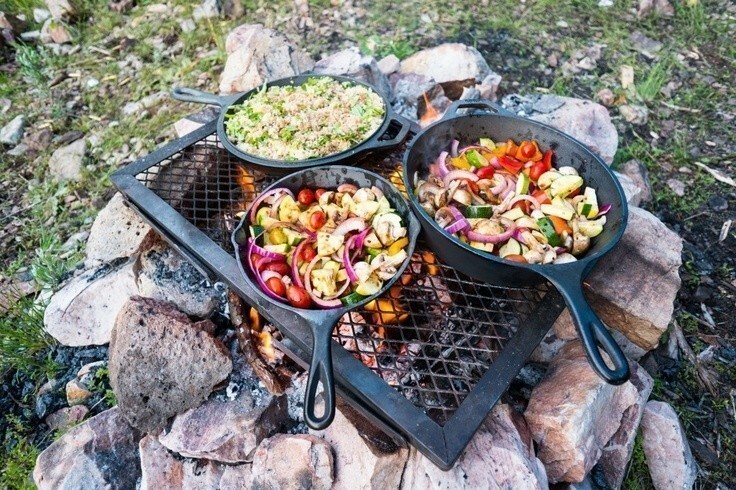 Many of the organized campsites for beginners have covered areas that you can use to cook. 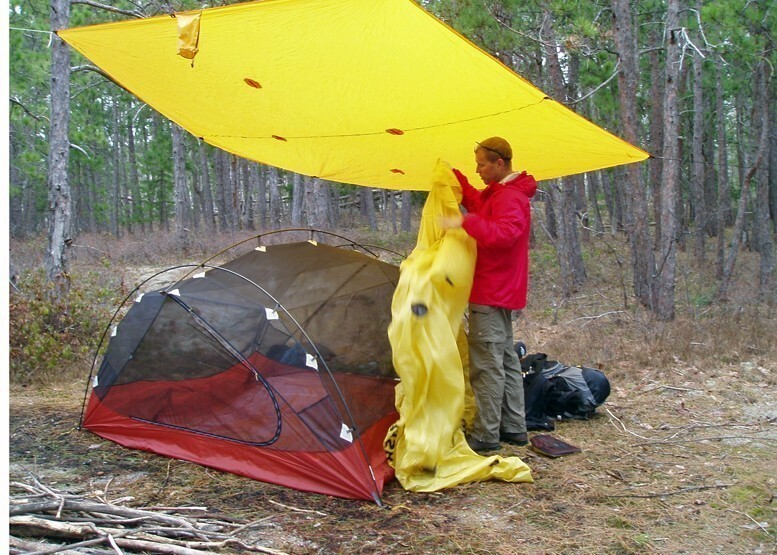 However, if that is not the case, you can always pack a tarp and then hang it from poles or trees in order to create shelter. If you see a big storm coming, make sure that you always prepare and pack all that you can and that can be blown away. The tent has to be checked so that it is as secured as possible. Make sure that you do not arrive later than mid-afternoon. Your priority is always to set up camp. The tents have to be pitched. However, the bags and sleeping bags can be rolled up until you actually need them. That will keep them safe and dry. The tent has to be zipped at all times so that no animals will get in. Before you go on your trip, do a dry run so that you are sure everything is ok. At the same time, you can practice setting up the tent at home before you actually reach your campsite.